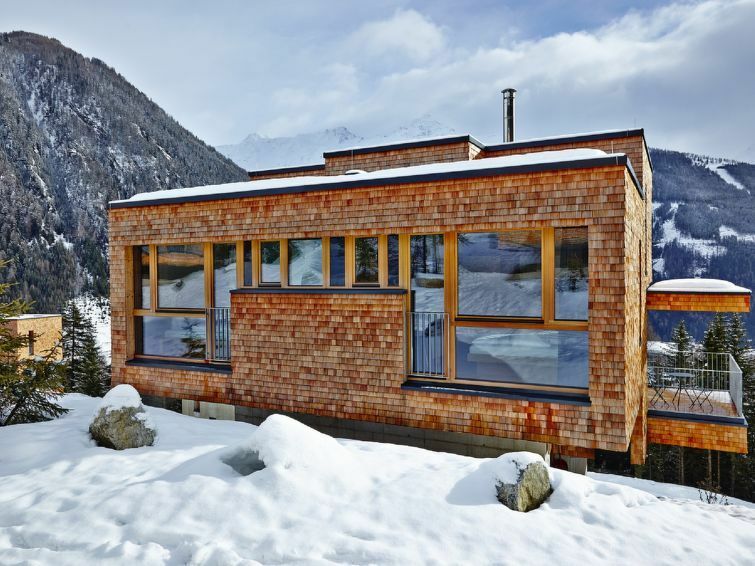 4-room chalet 100 m2. Bright, comfortable and cosy furnishings: dining room. Exit to the balcony. 3 double bedrooms, each room with satellite TV (flat screen). Living room with tiled stove. Exit to the balcony. Small, open kitchen (oven, dishwasher, 4 ceramic glass hob hotplates, microwave, electric coffee machine) with dining table. 2 showers, 2 sep. WC's. On the lower ground floor: entrance hall. 2 small balconies 6 m2. Balcony furniture, box-room. Beautiful view of the mountains and the countryside. Facilities: washing machine, dryer. Internet (WiFi, free). Garage on the property. Please note: suitable for families. 1 pet/ dog allowed. In the small basement, there is an infrared cabin where you can enjoy a nice view over the valley. A kitchen starter package and a bundle of wood for the fireplace are included and prepared for you for when you arrive. An automatic coffee maker is also available. Please note the security deposit will be required to be paid in cash upon arrival.